This update is helmed by an article on the Zettai Zetsumei Toshi series, a trilogy of disaster escape games which were localized under the titles Disaster Report (the first game in North America), SOS: The Final Escape (the first game in Europe) and Raw Danger (the second game). The third game was for the PSP and was not translated into English, while the fourth was schedule to come out for the PS3 last year, but was cancelled in the wake of the tsunami and earthquake that hit Japan back in March 2011. Coincidentally, earlier this month 1up posted an interview with Kazuma Kujo, formerly of Irem, who discusses a bit about the fourth game and the reasons surrounding its cancellation. Hayao Miyazaki, legendary director of many movies from Ghibli studio, like Laputa: Castle in the Sky, Princess Mononoke and Spirited Away, as long been quoted as having a distaste for video games. That may trace back to a trilogy of computer games based on Nausicaä of the Valley of the Wind, including two shooters and one arcade adventure game, all of which are varying degrees of awful. There have not been any games based on Ghibli movies since then, despite the huge influence that his movies have had on Japanese game artistry, a few examples of which are touched on in this article as well. Rounding out this update is a review of Ultimate Stuntman, an amusing unlicensed NES game, and Power Drift, one of the lesser known Super Scaler racing games, courtesy of Sega and Yu Suzuki. Plus, installment 15 of our iOS Shooters piece, including reviews of AstroWings, AstroWings Returns, Aerial Assault, and AsciiArt Wars Free: The 2ch Strikes Back. Our Spotlight Article covers 7th Dragon 2020, the sequel (or, rather, offshoot, if Sega is to be believed) of the 2009 DS JRPG that the company refused to publish or license outside of Japan, despite relatively significant demand for it. This follow up was releaed on the PSP late last year, and I hadn't bothered to play much of it, due to them significantly scaling back some elements (three characters in a party rather than four, five character classes rather than eight, an aesthetic that seemed to rip off Shin Megami Tensei rather than Dragon Quest), but I decided to give it a go anyway. It made a good gaming equivalent to a beach read - nothing particularly outstanding, but sold and enjoyable. The kusoge this week is Chester Cheetah: Too Cool to Fool. There were more than a handful of games in the 16-bit era that were based off of food products, and some of them, like Mick and Mack in Global Gladiators and Cool Spot, were pretty good. This is not one of those games. Now the Great Giana Sisters, one of Europe's most well-remembered Commodore C64 games, is scheduled for a reboot, too. 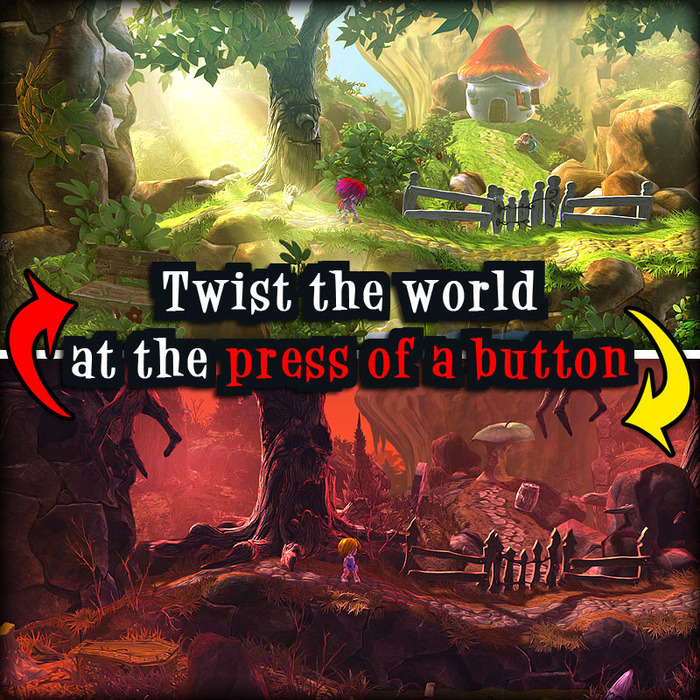 If you're looking for an old-fashioned, cutesy platformer, without all that ultra-hard-one-hit-kill-and-a-thousand-spikes-instant respawn nonsense, this could become the game for you. Unfortunately, the Kickstarter fundraiser has only six days left, and still needs to raise a third of its most basic funding. It would be a true shame if this game somehow wouldn't get made. The original programmer of the C64 game is involved with the project, and it uses music by Chris Huelsbeck and Machinae Supremacy, to support an interesting dream/nightmare dual world. 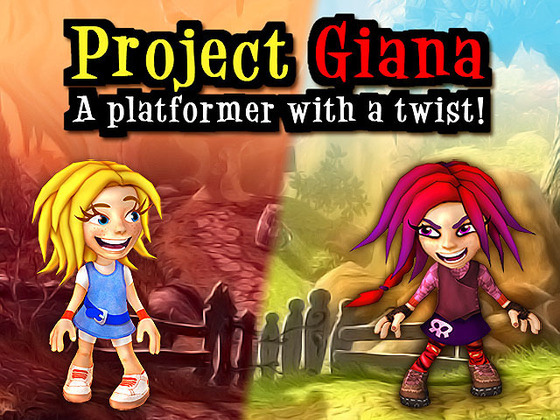 Other than most kickstarters, the developer even has a working demo to show. 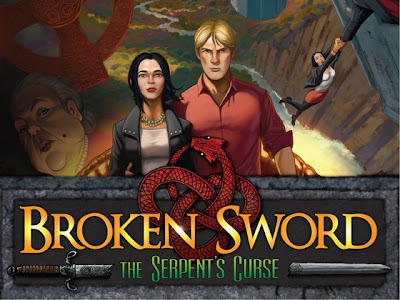 Broken Sword: The Serpent's Curse on Kickstarter. Just in case you hadn't heard yet, Revolution is working on a new old-school Broken Sword title, with hand-drawn 2D backgrounds (but 3D models for the characters). The mystery this time involves the oldest schism in Christianity, started back in the very first days of the religion. And like many classic adventure series that make their return these days, Charles Cecil and his team hope to get the game funded by those who will actually play it. The campaign has reached about a third of the $400,000 goal in like a day, so there's no reason to assume it might not get funded, but in case you want to show your support or secure one of the incentives (which seem a bit steep, to be honest - a Kickstarter-exclusive boxed copy is only offered from $100 upwards), you can do so on the Kickstarter project page. I remember Okage: Shadow King as one of the first RPGs on the PlayStation 2, way back in 2000. You play as a young boy who's possessed by an evil demon named Stan, who forces you to try to take over the world. It's regarded to be remarkably average as a game, but its oddball premise, amusing dialogue and Tim Burton-y art style has given it a well deserved cult following. Uniracers (known as Unirally in native Europe) is a neat little SNES exclusive where you play as a sentient unicycle, which unfortunately ran into some legal trouble with Pixar, as this article points out. Last Survivor is an interesting Sega game, which I picked out because it's not emulated in MAME, but was ported to the FM Towns. It's the first instance that I can dig up of a networked multiplayer game made in Japan, which was released in the arcades. Its 3D is rudimentary, of course, using single sprite tiles rather than texture mapped polygons, and the game itself is slow and awkward, but as a weird piece of history, like most games featured on this site, it's pretty neat. After writing this I learned that the ROM has dumped and it should be released publically soon, which should give it some more exposure. Vice: Project Doom is one of those many quality NES action titles which never quite got the notoriety as Castlevania or Ninja Gaiden, but is still a worthwhile game nonetheless. And Huang Di: Zhuolu zhi Zhan, an unofficial Chinese Famicom game, stars a hopping zombie (known a a jiang shi in Chinese or a kyonshii in Japanese) and has nothing if a unique visual style. Guardian Force is an interesting scrolling tank shooter for the arcade and Saturn, developed by Success, the same folks beyond the Cotton series. And Part 14 of the iOS Shooter article covers Aeronauts Quake in the Sky, 1942: First Strike and 1945: Air Strike (which is unrelated to Capcom's games). Our Spotlight Article is Altered Beast, for no other reason than that the original review was a little too harsh. It hasn't aged nearly as well as some of Sega's better arcade games (Fantasy Zone is still brilliant twenty five years later), and it's definitely a style-over-substance cases, but the visuals are still fantastic, and the boss designs are still incredible. It's also a little bit weird that the final boss makes a cameo in Wreck-It Ralph, especially seeing that a purple armor-clad rhino isn't exactly iconic. And Your Weekly Kusoge is Virtual Lab, a sloppy, hacked together puzzle game for the Virtual Boy. 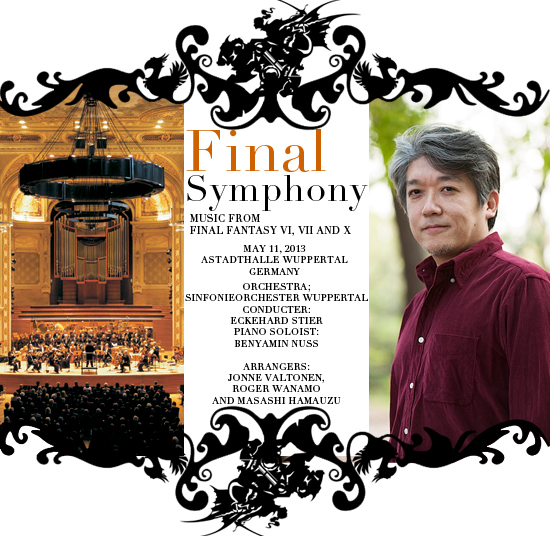 Final Symphony: Music from Final Fantasy VI, VII and X Announced. For Final Fantasy fans in Europe, this announcement should be sure to please those who fight and kids that run through the corners of the city. Thomas Böcker, director of Merregnon Studios, responsible for Symphonic Fantasies and Symphonic Odysseys, have announced the final installment in the Symphonic series titled Final Symphony. The concert with feature music from Final Fantasy VI, VII and X, and the music will be arranged by the world renowned duo Jonne Valtonen and Roger Wanamo, alongside special guest Masashi Hamauzu of Saga Frontier II and Final Fantasy XIII fame. The event will be held at the Stadthalle Wuppertal in Germany on the May 11th. Tickets will go on sale on August 24th at WestTicket.de, and be priced at €22 ($27). 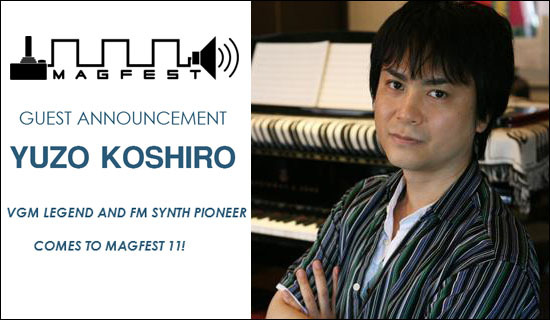 The concert is officially produced in cooperation with Square Enix and Nobuo Uematsu. Check out more info at ffsymphony.com as it becomes available. Although not live on a front page update yet, regular forumites were keen to point out that we've reached our 50th entry on Your Weekly Kusoge. I hadn't even been counting! Looking through the staff forum it seems we were discussing the regular feature as far back as 2010, and now it's the 3rd Google result for the word "kusoge". To celebrate I've scanned an interesting article from Electronic Gaming Monthly 159, and I pose a mystery: who is Richard Del Medio?